When it comes to ocean planning, there are multiple user groups, activity types, natural resources, and physical forces to consider. In the face of such complexity, local planning efforts can benefit from federally funded consistent data collection and sharing, especially when involving fluid resources that cross jurisdictional boundaries. Regional councils create a space where state and federal groups can collaborate to support use and conservation of ocean resources through informed ocean planning. For the Northeast Regional Ocean Council (NROC), providing high quality data through the Northeast Ocean Data portal is an essential part of stakeholder outreach, collaboration, and education. 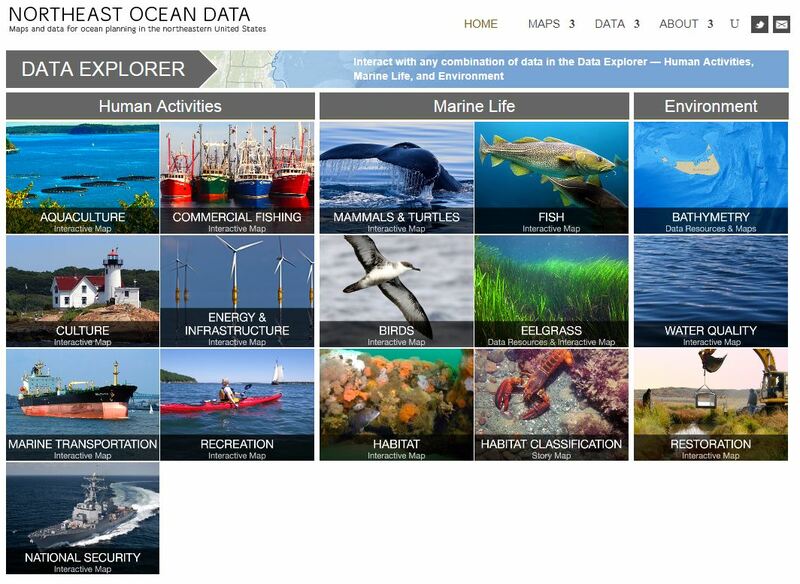 The Northeast Ocean Data portal serves up spatial data on maritime topics ranging from aquaculture and essential fish habitat to marine transportation and national security, many of which are derived from datasets made available through Data.Gov.